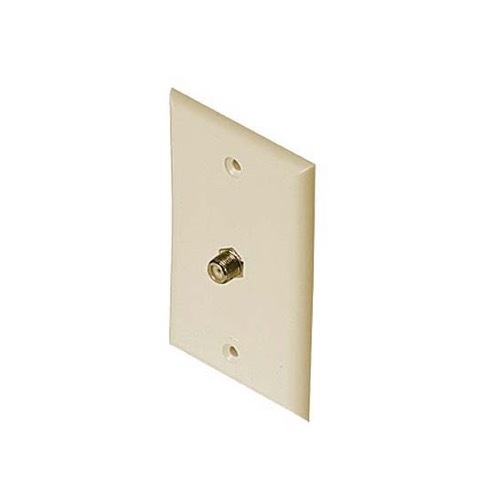 Magnavox gold series 75 ohm wall plate, Ivory. To connect 75 ohm coax cable through a wall. Terminates cable hookups at a 75 ohm wall "F" connection. Satellite compatible. Gold for better connection.